The internal API of Copernica to turn JSON into responsive email messages is accessible for you too! 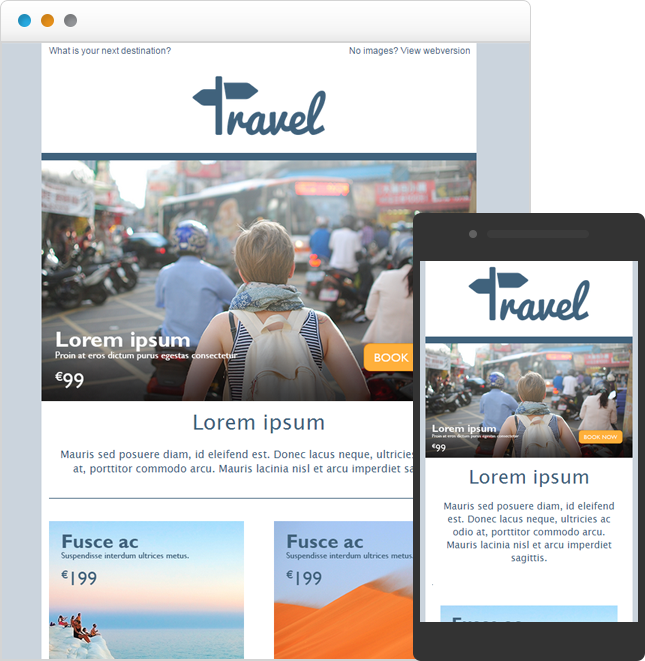 The ResponsiveEmail API turns JSON data into fully responsive email messages optimized for every device. All you have to do is feed this JSON to the API and you'll get a responsive message back. Besides the API, which is a tool for programmers, you can also use our easy-to-use drag-and-drop editor. 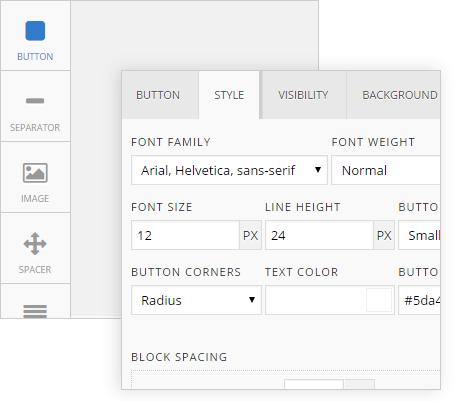 This drag-and-drop editor is embedded in our Copernica and SMTPeter dashboards. The API accepts JSON object as input, and delivers HTML code optimized for email. Inside the JSON document you can specify literally everything: sender and recipient(s), subject line, the text and HTML version of the email, attachments and much more. Every property you can set is well documented and can be found in the JSON documentation. To access the ResponsiveEmail.com API you need an API access token. This is the same token that you use for SMTPeter.com. To get a token, you therefore first have to get an account at SMTPeter. To give you an idea of how it works, just fiddle with the following JSON and preview your changes as either a rendered preview of the email, prettified, raw or MIME. Invalid JSON Please check your code for any missing comma's, colons, brackets or curly braces. 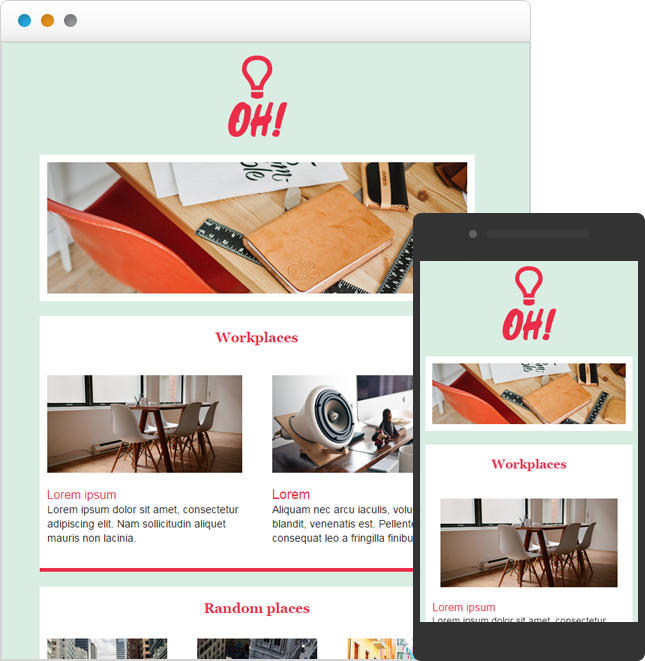 View, edit or download beautiful templates that we have already created for you. ResponsiveEmail is here to help and save you time, money and headaches. 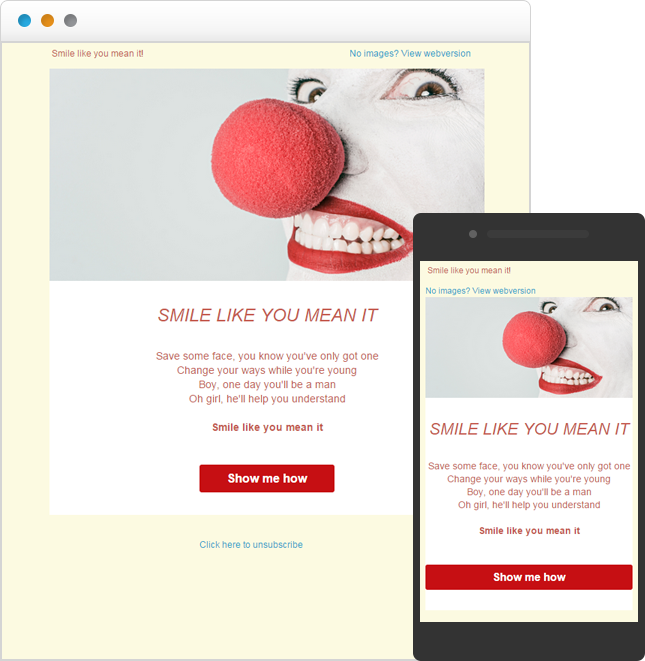 The API accepts JSON objects as input, and turns these objects into responsive emails. Works with any programming language, as long as it produces valid JSON objects and sends it to the API. Emails generated with the API render perfectly on popular email clients such as Outlook, Gmail and more. ResponsiveEmail.com is not a standalone product, but is embedded in all Copernica's other products. Whether you use MailerQ, Copernica or SMTPeter: all these solutions come with the JSON to MIME conversion toolkit. MailerQ is the most powerful MTA in the world. If you want to run your own mail server you need this MTA. SMTPeter is a cloud-based email gateway. This gateway understands JSON too, and can turn it into responsive emails. Copernica is the most powerful, flexible and configurable marketing suite you can find, built for marketers and merchants. 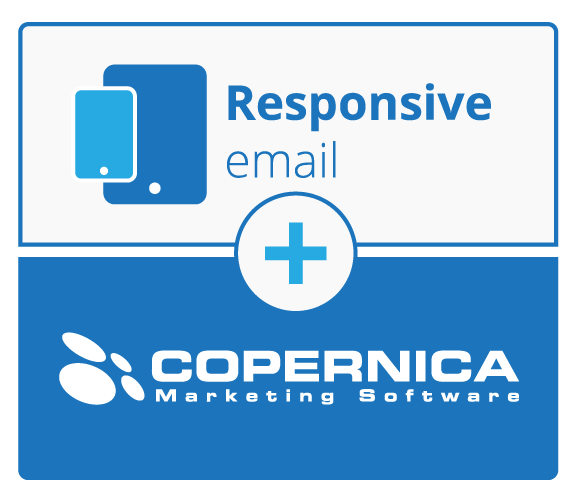 ResponsiveEmail.com is made, maintained and supported by Copernica, a leading provider of high quality marketing software located in Amsterdam, The Netherlands. 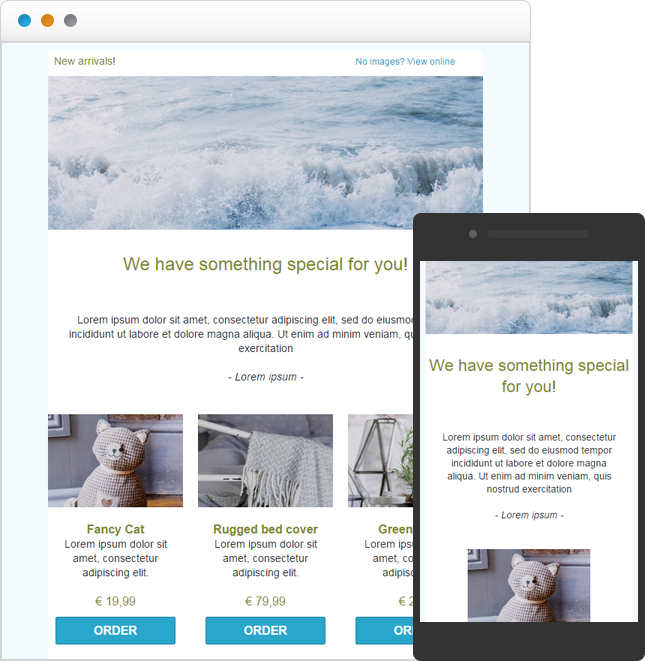 With Copernica you can deliver relevant and timely communications using email sms, landing pages and PDF. 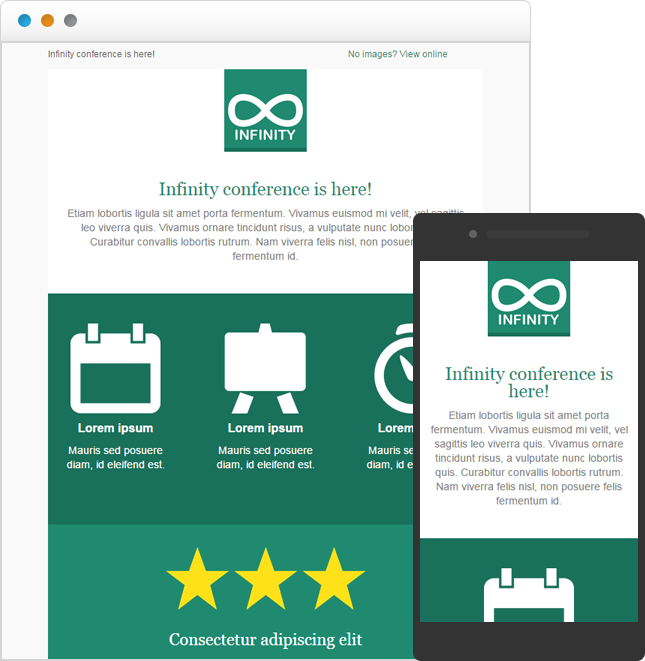 Sign up to our newsletter and receive the latest news about Responsive Email. We will only use your email address to notify you of updates about Responsive Email, and for the occasional newsletter.